Every inch of your Striper V Trac hull translates into better performance. For more brawls with big fish, you need precise boat control and a layout designed for serious angling. That's Striper's claim to fame. Discover all the ways our hand-built V-Trac hulls perform with power at wave-breaking speed, while delivering nimble control when trolling. V Trac hull, better traction, self-bailing decks, closed cell foam, composite transoms. 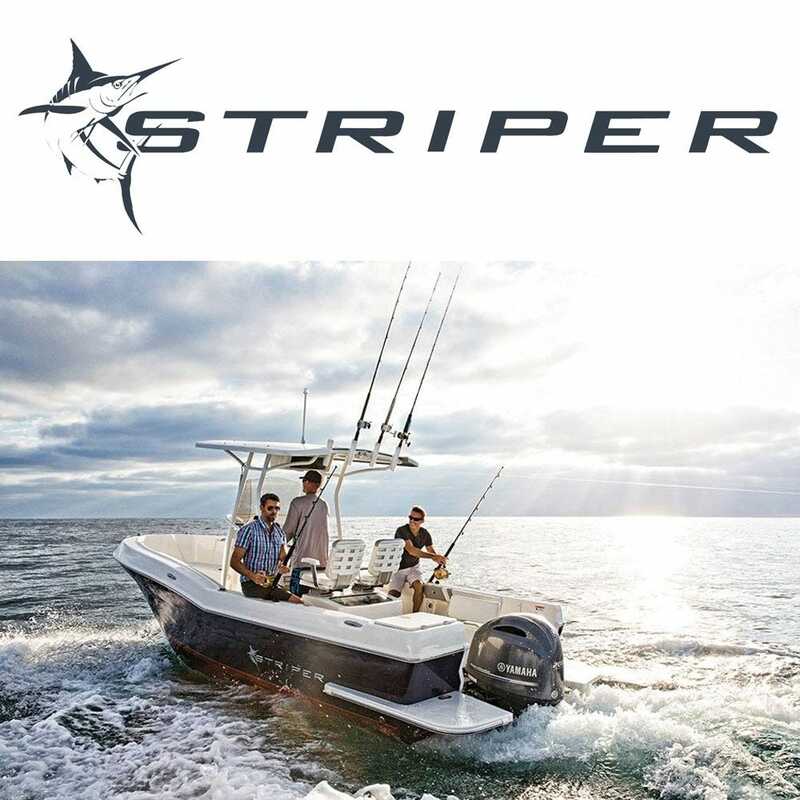 With Striper, you can choose from the world's five leading engine brands. Striper is the brand of choice for astute big-water anglers who appreciate innovative features, solid on-water performance and a good value. They seek no-fuss fishing platforms in boats known for their range, great exterior styling and rugged construction. Striper delivers an honest, unpretentious fishing experience for fishermen who don’t need to tell stories. The magic of saltwater fishing is the unknown. Where will instinct, fate and sheer drive lead you each day? What monsters dwell beneath? Which will strike? We understand the lure and lore of the big water, because it speaks the language we were born to understand. It's your calling. And it's ours too.